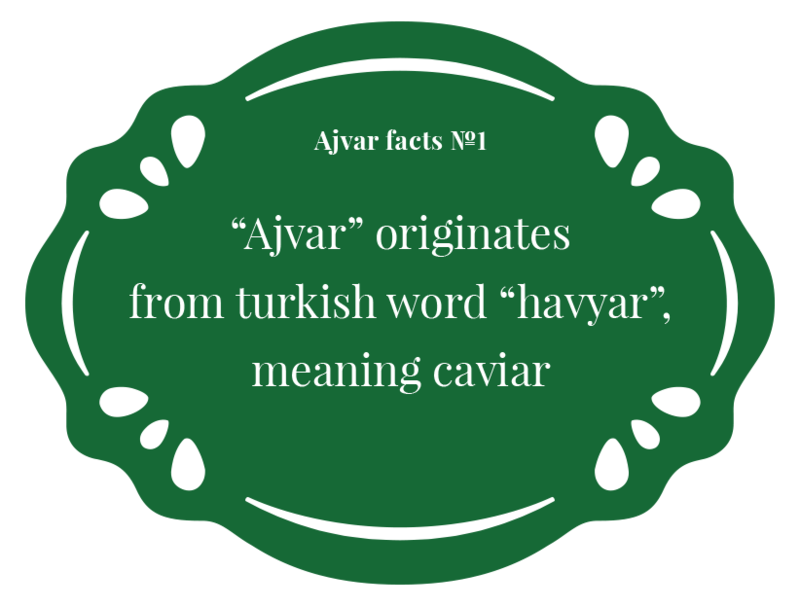 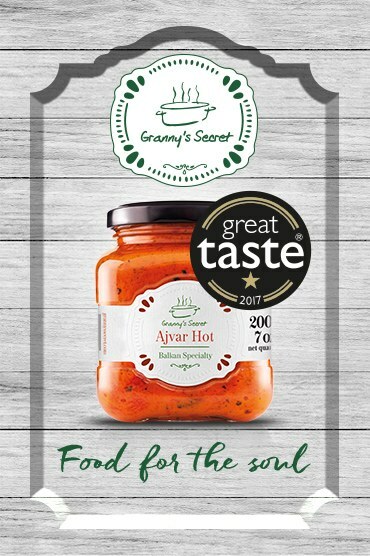 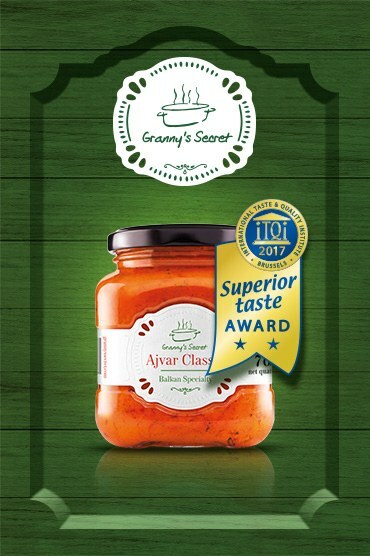 Word ajvar originates from Turkish word havyar, meaning caviar. 4kg of quality sweet red pepper is needed for 1kg of ajvar. 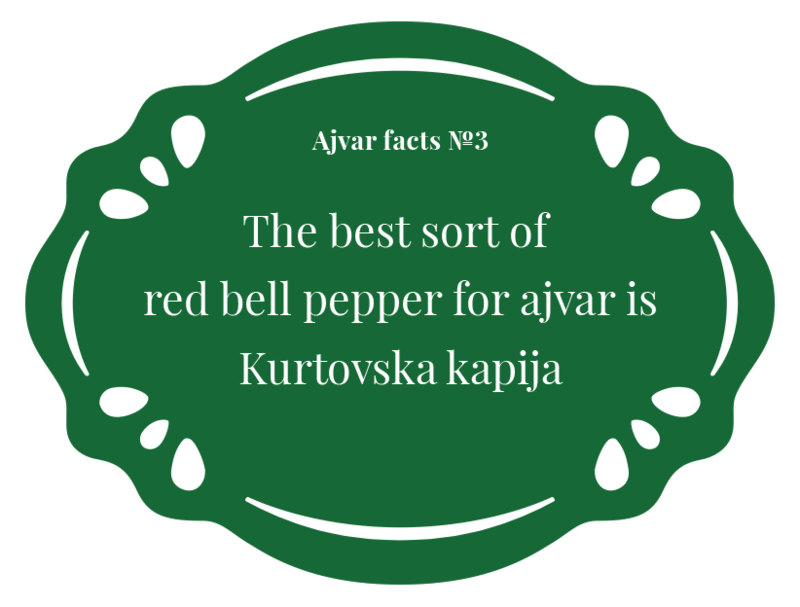 The best sort of red bell pepper for ajvar is Kurtovska kapija. 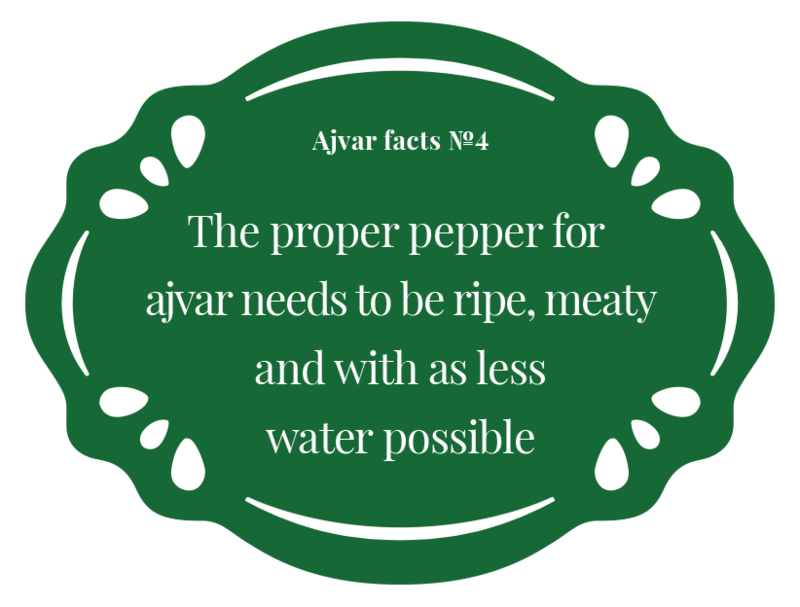 The proper pepper for ajvar needs to be ripe, meaty and with as less water possible. 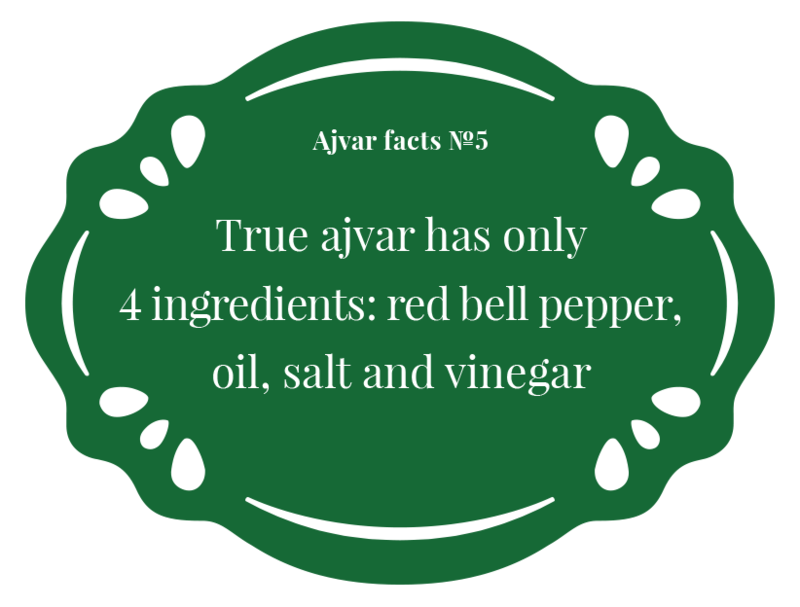 True ajvar has only 4 ingredients: red bell pepper, oil, salt and vinegar. 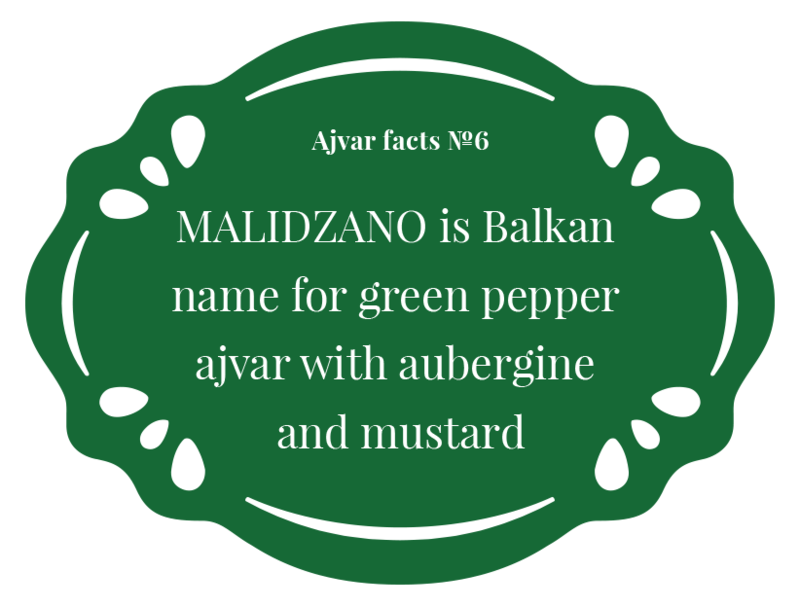 Malidzano is Balkan name for green pepper ajvar with aubergine and mustard. Ajvar with tomato and garlic is called Pindjur in Balkans. 94% of ajvar are roasted peppers. It takes 53 high quality red bell peppers for 1 kg of true ajvar. 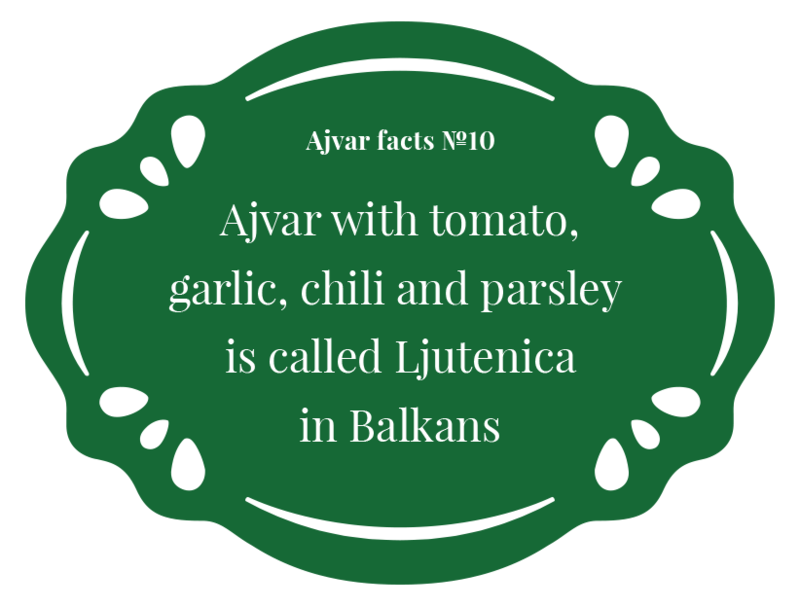 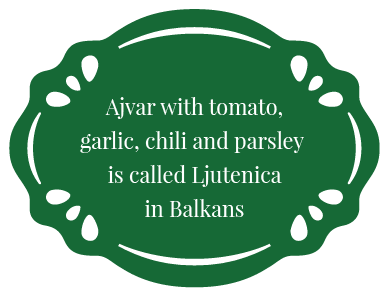 Ajvar with tomato, garlic, chili and parsley is called Ljutenica in Balkans.